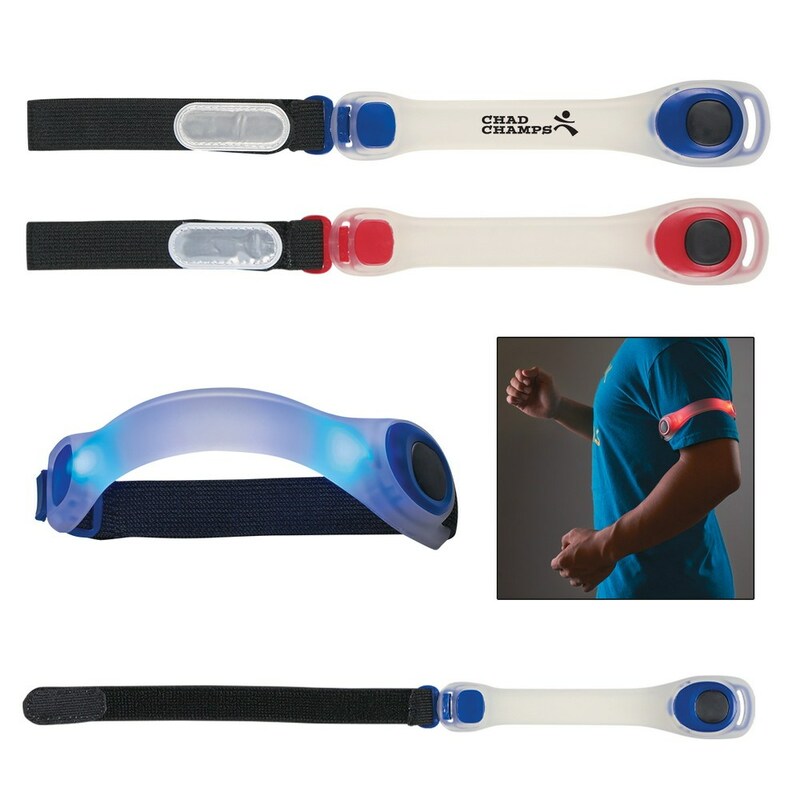 Carry light along with you, wherever you go, with the Safety Light Armband strapped on. Imprint your company’s logo on the wristband and boost your brand’s image and value. 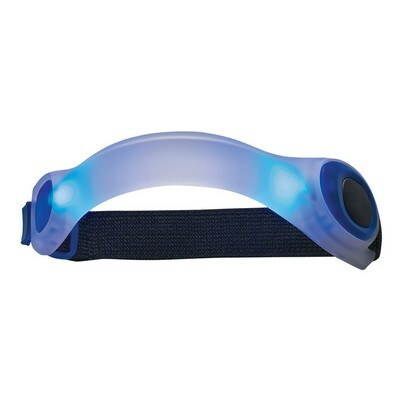 Carry light along with you, wherever you go, with the Safety Light Armband strapped on. Imprint your company’s logo on the wristband and boost your brand’s image and value. It expands up to 16" and has a Velcro® closure to securely strap around your arm. It has two different light settings, with a push button to turn it on/off. It is available in clear with blue or red trim and matching light. Give away the safety wristband at trade fairs, jogging trails, and safety programs, to showcase your brand’s service and commitment towards the customers.